Things have been quiet here this week and will be till Sunday because I’m working at Comic-Con, San Diego’s nerdy popular culture explosion at the downtown convention center. If you’re in San Diego and going to CC, come say hi to me at The Guild booth #4417, where I’ll be helping out selling The Guild DVDs and t-shirts. In the meantime, catch up on stuff I’ve been posting elsewhere. At Lifehacker earlier this month I published How to Crack a Wi-Fi Network’s WEP Password with BackTrack and then the follow-up, WEP Cracking Redux: Beyond the Command Line. Both these articles got a huge response, but don’t worry, I’m not going blackhat: it was all proof-of-concept. Also at Lifehacker: Gmail Tasks Keeps It (Too) Simple. Very exciting news that Google is moving into to-do lists, but they need to take it up a few notches. Inspired by the reader response to the Gmail Tasks piece, over at the Pelotonics blog PeloLife, I posted Simplicity vs. Features: Crafting the Perfect Task Manager. How to Troubleshoot a Flaky Internet Connection [Lifehacker]: This is everything I know about getting back online when you get knocked off. 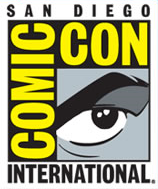 Back next week–hope to see you at Comic-Con! If not, keep an eye on what’s going on there at io9. Good lord, bad enough half of the comic book blogs have their authors going off to Comic-Con, now half the bloggers in my non-comic feeds are also going. No wonder the con has run out of space. Nice, sounds fun… thanks for the links! 🙂 Cheers!